When was the last time you cleaned your ductwork? NADCA, the National Air Duct Cleaners Association, recommends a visual inspection of residential ductwork every 2 years. Pull one of the return vents off the wall in the kitchen or bathroom and take a look. 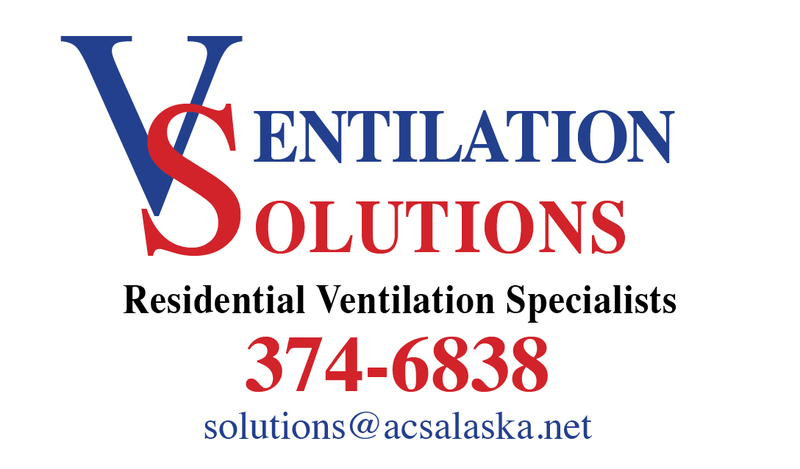 Dust and dirt can accumulate in the ductwork and fan blades of your ventilation system. Regular cleaning will keep the pipes clean and your equipment working like new. 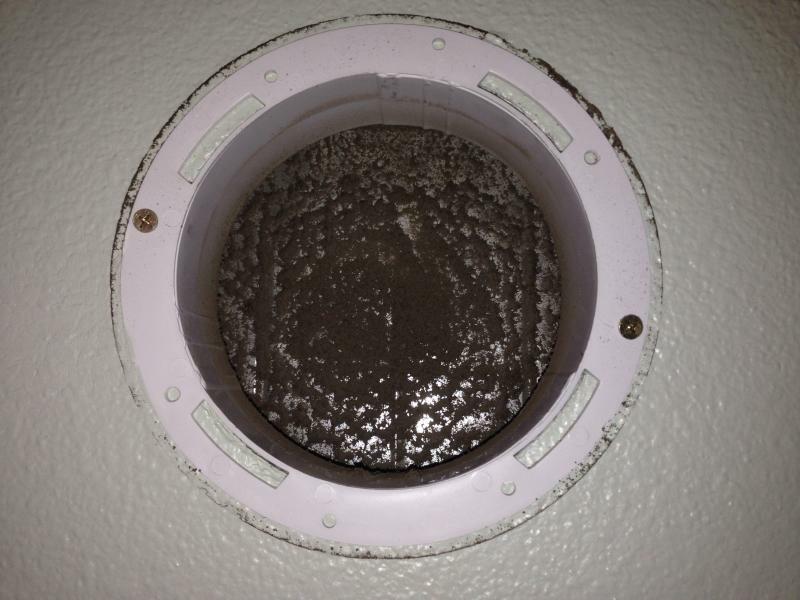 Dirt and gunk build up can significantly reduce the effectiveness of your ventilation system. We have the various ways of cleaning your ductwork. We start with a video inspection of the ducts. Then we hook up a 5000 CFM HEPA equiped vaccume to the ductwork. From the far end we run a Rotobrush with a rotating bristles through the ductwork to scrub the pipes clean from the inside, working our way carefully through the entire ventilation system. If the ventilation system uses stud bays or floor cavities and there are wires or pipes in the way, we have a Viper high pressure air whip system that can safely blast the dirt and debris from the walls of the cavities without damaging the pipes or wires. All dust and debris is collected by the Negative Air machine. We will disconnect the ductwork as needed to access the entire system. Our soft bristle rotating brush on a 35' flexible vaccum hose will travel all through the ductwork, even through air flow measuring stations. After cleaning, all of the ductwork is in like new condition. After thoroughly cleaning the ductwork, we can fog the ductwork with EPA registered product called Envirocon that is a Deodorizer/Bacteriostat/Germistat/Fungistat. The end result is your duct system is clean and fresh. If there is an identified problem requiring a more aggressive approach, there are additional products available. The final step in the cleaning process is to reconnect the ductwork, service the HRV, and then rebalance the airflow through the HRV as well as checking the airflow in all rooms of the house. Every year dryers cause over 15,500 fires (US Fire Administration). Regular cleaning of the dryer ductwork in your home can drastically reduce the chance of this tragedy happening to you. Not only is the fire risk reduced, but your clothes will dry faster, saving you time and money. A Rotobrush or similar tool uses a rotating brush attached to a vaccum hose to clean the walls of a duct and collect the dislodged dirt and debris at the same time. The rotobrush can be used by itself and is an excellent way to clean round ducts. The soft bristles and flexible cable allow it to safely and effectively clean round and oval shaped ductwork, and can even be used to clean flex duct. Different size brushes can be attached to clean from 4" up to 30" round ductwork. The rotobrush can be used to clean rectangular main plennum's, thanks to its reversible brush head. Changing the direction of the rotation while brushing main trunk lines can walk the brush head back and forth across the duct. The rotobrush works ok for main retangular trunk lines, but has a hard time reaching the corners, and on long or large ducts the cable is dificult to handle to prevent bunching up inside the ductwork. The brush is often attached to a 6" flexible cable on the end of the vaccum hose. When removing the hose from a wall or ceiling vent, it is difficult to contain the last bit of dust created by the brush as it leaves the duct due to the vaccum part of the hose being so far from the brush. A bit of practice and being careful to turn off the brush before removing it from the duct can keep the dust to a minimum. A "Vaccum and High Pressure Air" or "Negative Air" set up uses a large, multiple filter equiped vaccume connected to the ductwork and an air compressor with a variety of attachments to dislodge the dirt and debris from inside the ductwork and move it along the ductwork to be collected in the vaccum bag. The negative air machine needs to be attached to the ductwork somehow, and often requires cutting holes in the ducts to make the connection. Any holes cut in the duct will need to be repaired once the work is done. Once the vaccum is running all of the dirt and dust is sucked back through the pipes toward the collection bag. On large systems inflatable zone bags can be put in the ducts to concentrate the suction to parts of the ductwork to increase the airflow. An air compressor is used to blow air inside the duct or plennum to dislodge the dirt from the walls of the duct. Various attachments have different air patterns or whips attached to blow or whip around to knock the dirt loose. Long stiff or flexible rods can be used to bush or pull the dirt towards the collection point. The high pressure air works extremely well in very dirty return plennums, and if walls or floor cavities were used as a plennum. The air can safely dislodge the dirt from the walls even if there are pipes or wires running through the plennum. High pressure air can be used in round or rectangular ducts. High pressure air can even be used to clean dryer ducts with the correct attachment. After removing the dirt build up from the ducts, it is easy to "Fog" the ducts with a variety of products. There are deodorizers, bacteriostat, fungistat, products that can destroy odors associated with bacteria, mold, mildew, smoke, pets, etc. that can be sprayed in the ducts. If necessary mold killing products can be sprayed as well. The Negative air machine provides really good suction to pull the products through the entire duct distribution system without relying on the blower fan of the HVAC equipment. Both systems work well, each having its advantages and disadvantages. The brush and vaccum works better for round ducts and flex ducts while the negative air works better for rectangular main plennums and wall and floor pans used for return plennums. A rotobrush can be easily transported in a small truck and used by one person. It is small enough to be taken up and down stairs and can be taken into a crawl space if needed. The negative air machines take more time to set up and are a lot larger and heavier. Some large ones are truck mounted. A large gas powered air compressor is required to have a steady supply of high pressure air to run the attachments. Either system can be used effectively to clean a duct system. The operator of the equipment makes more of a difference in the quality of the work than the equipment itself.